What’s happening Sept 16 – 22 at THC? Reiki Share tonight! $5-10 donation. Open to Reiki practitioners of any level. Please arrive a little early to settle in before the 5:30 p.m. start. For more information contact Tamara at 978-595-7755. Did you know that Lakshmi Linda Sirois is a Licensed Mental Health Counselor, along with a Board Certified Dance/Movement Therapist and a Kundalini Research Institute Certified Yoga Instructor? 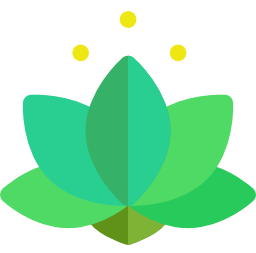 Learn how to take it easy in a Stress Reduction Consultation with Lakshmi using Meditation, Yoga; and/or verbal, dance, authentic movement, art, music, or drama therapy. Consultations can be for an individual or a couple’s session. Pay within a sliding scale or a co-payment with some insurance coverage. For more information or to schedule an appointment please contact Lakshmi at lsirois1@verizon.net or 978-356-5956. Joanna is available this today for Nourish Your Heart and Soul reiki sessions. To schedule your appointment email info@joannascaparotti.com or call 978-338-4326 This reiki session will help you reconnect with your center, find peace and get you back to a place where you feel at ease with your body and your process. Iris, our Herbalist, leads her Plant Ally Shamanic Study Group from 6 – 7:30 p.m. A plant ally is a plant that works especially well with you. In this group we will use shamanic journeying, meditation, and discussion to learn about the plants that offer the most benefits for each individual participant. Knowing how to use the “medicine” of a plant will not only benefit you now but throughout your life and can save you money and enhance your mental, spiritual, and physical health. This group meets the third Thursday of every month and is open to all levels of interest and experience. Preregistration is required. Click here to see Iris’ Special above. For more information on the Plant Ally Shamanic Study Group go to: http://irisweaver.com/class-and-workshop-calendar/ and open September 19th. You can also contact Iris Weaver at 617-773-5809 or info@irisweaver.com to pre-register or to get more information.